Home » Television » TOBY ZIEGLER on board for CRIMINAL MINDS spin-off. TOBY ZIEGLER on board for CRIMINAL MINDS spin-off. The cast for CRIMINAL MINDS: SUSPECT BEHAVIOR gets more and more interesting. 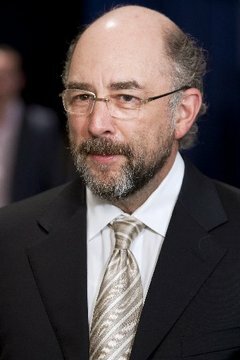 Reports have come out that WEST WING’s Richard Schiff will be joining the CM spin-off as FBI director Jack Fickler. The role is described as recurring. Schiff played Director of Communications Toby Ziegler on THE WEST WING, a role for which he won an EMMY in 1999. He also starred in PAST LIFE, a series based on the characters of author MJ ROSE. He joins Oscar-winner Forrest Whitaker and Janeane Garofalo.